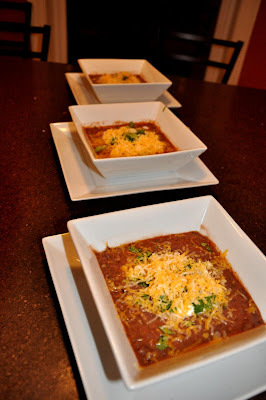 Easy Stuff: Black Bean Soup. Just simmer black beans, water, and salsa then dump in a food processor and voila. Add some cheese, sour cream, and green onion for some extra class.